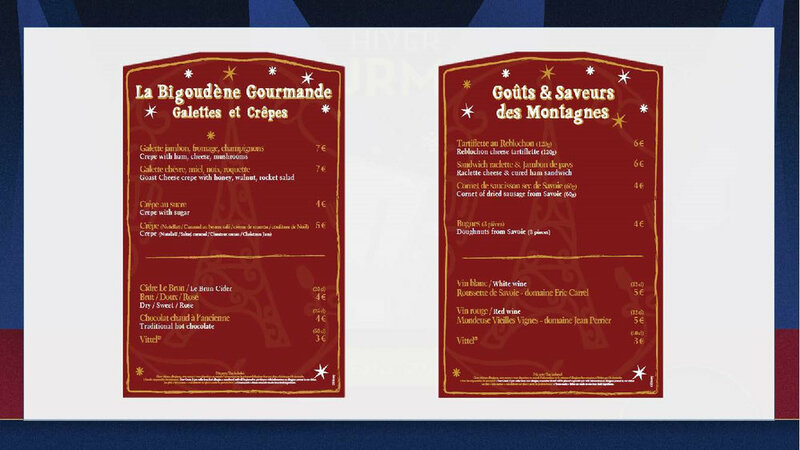 For the first time at our resort, the Walt Disney Studios Park will host L’Hiver Gourmand at Disneyland Paris from November 10, 2018 to March 17, 2019. Inspired by the two successful editions of the Rendez-Vous Gourmand de Disneyland Paris, this new concept will consist of five providing new culinary experiences, with a selection of the best Christmas recipes and winter specialties: hot chestnuts, Christmas log, sauerkraut, pancakes, tartiflette, hot chocolate and wine or Christmas beer *. Vegan products will also be offered to our guests. On this occasion and until January 6, La Place de Rémy will be specially decorated and illuminated to immerse our visitors in a most festive atmosphere, inspired by the winter decorations of the most famous Christmas markets. "Following the success of the Rendez-Vous Gourmand de Disneyland Paris, it was natural to offer in this beautiful Place de Rémy a new gastronomic event that allows our visitors to discover a Disney style Christmas market! Everything is planned for a total immersion: many light garlands, a specific decoration for the chalets, dishes and smells typical of winter, and photo opportunities with Disney Characters! " says Alexandre Dafit, project manager at our Food department.